!warning machine translation of original Portuguese text October 24, 2017 at 15:08 The head of Portuguese diplomacy told Lusa that the Portuguese embassy in Dili worked normally today, after being forced to close on Monday because of "a moment of tension" caused by "a small group of people." Violent actions by a group of youths who attempted to force entry into the Portuguese embassy in Dili, for alleged dissatisfaction with the delay in processing their applications for nationality, forced the diplomatic mission to close on Monday. Today, the situation has returned to normal, according to the Portuguese Foreign Minister, Augusto Santos Silva, who devalued what he called an "attempt to provoke disrespect, which was frowned upon," saying he believed it was no more than an "episode" caused for "a small group, which is far away" from representing all the people who turn to that Portuguese embassy. The minister spoke to Lusa about 10:00 a.m. in Lisbon at 6:00 p.m. in East Timor. "I spoke to the Portuguese business manager in Dili at length to understand what was going on and what the people's service was. All the information I received led me to conclude that there is a call for service reasonable, reasonable deadlines, both for service and for order processing, "he said. The embassy has two Portuguese diplomats and three East Timorese officials and receives daily "several dozen people, reaching a hundred." "People have to be calm and respectful," he said. The tension surrounding the embassy is due to the high volume of requests for Portuguese nationality, something that is accessible to any Timorese born until May 19, 2002, the eve of Timor-Leste's restoration of independence. The nationality law considers that until that date and because Timor-Leste was a non-self-governing territory under Portuguese administration, all Timorese citizens born until then can apply for nationality. This means that, on average, the embassy receives about 60 requests for citizenship every day, with long lines of people lining up daily at the embassy door, which changed this month to new facilities. Santos Silva explained that the service in the consular section in Dili works, as in many other countries, through electronic marking, but "there are usually a few dozen people who, even though they know this, physically move to try to be attended on the same day or schedule a marking, "which" disturbs the processing of consular acts. " The official indicated that the dialing, by digital means, currently takes about 15 days, exemplifying that a user who tries to schedule a service today, will find "everything full" until November 6, being possible to make appointments after that date. Portugal and Timor-Leste have a visa-free agreement, so travel less than 90 days does not require visas. Already Schengen visas take about a week to be issued. More time consuming is the process of obtaining nationality, which can take "between several months to a year," since it "obeys verification protocols for the authenticity of birth and security documents." 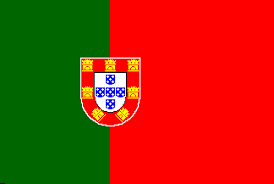 "It is not a matter of passing a visa, but granting Portuguese citizenship with all their rights," said Augusto Santos Silva, adding that it is not a matter of "urgency." Asked whether he would allow consular officials in Dili to be strengthened, the minister said that this post was not considered a priority, but the ministry "is keeping up with the pace of work."